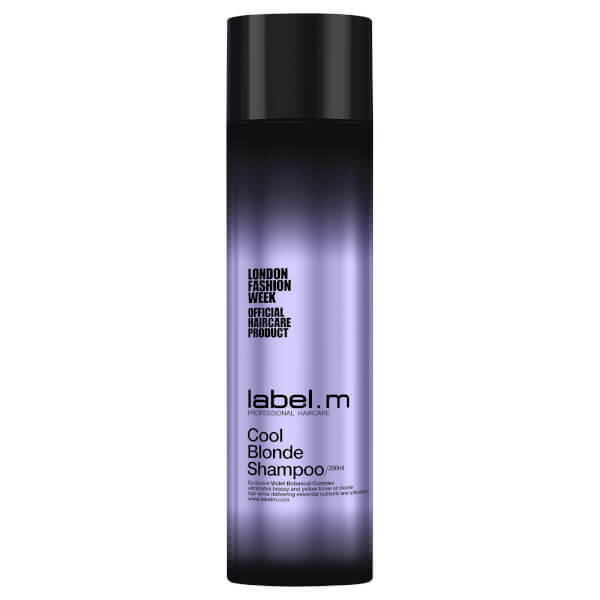 Take care of colour-treated hair with label.m Cool Blonde Shampoo, a purple shampoo that enhances brightness and eliminates brassy tones. The colour-correcting formula uses Blueberries, Purple Sweet Potatoes and Purple Carrots to reinvigorate blonde hair, minimising yellow undertones and creating a radiant head of hair. At the same time, the rich cleanser lifts away any dirt, excess oil and product build-up to freshen locks, whilst supporting each strand from root to tip to strengthen hair and reduce breakage. Locks are left bright, vibrant and ultra-nourished. Free from sulphates, parabens and sodium chloride. Massage into wet hair and lather. Rinse out.